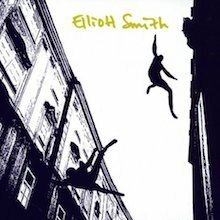 The all-too brief life and career of Elliott Smith, who died in mysterious circumstances in Echo Park, California, aged 34, accounts in part for the strength of his cult following but while his tragic allure is bound up in his image that should not detract from the excellence of the work he created and left behind. Indeed so prolific was Smith that his posthumous releases are pored over as eagerly as the fine discs he released between 1991 and 2000. Describing himself once as “the wrong sort of person to be really big and famous” Smith proved to be the epitome of the tortured artistic soul. His songs were candid expositions of the human psyche – his mostly – and while he delved into depression and addiction he usually came up with a bitter sweet riposte that encouraged those who believed in him to imagine that he might find solace and light at the end of his dark tunnel. In fact he didn’t but rather than dwell too long on his demise we are celebrating his achievements here and are very proud to be able to recommend the albums XO and Figure 8, released on DreamWorks following a period of independence and filling the gap between his first works and the aforementioned posthumous releases. After all, his entire legacy is slim but vital yet he was nominated for an Oscar for The Best Original Song thanks to his “Miss Misery”, included in the soundtrack to Good Will Hunting. Musically adept, with the ability to layer vocal and instrumental melodicism to a core of good writing there is no doubting his talent, though we can only ponder what might have been. Born in Omaha, Nebraska in 1969 then raised in Texas, Steven Paul Smith (he adopted his stage name later) spent much time in Portland, Oregon and latterly Los Angeles. His childhood was fraught and unhappy, he often dwelt upon it in song, but he was still tough enough to excel academically and gained a good degree in Philosophy and Political Science. His first significant band will be Heatmiser who released three albums, the last of which is Mic City Sons, a grand pop affair that is available through our catalogue. As a burgeoning solo artist Smith hit the ground running with the excellent Roman Candle which gained significantly good reviews to persuade him that music was his calling (he’d been flirting with the idea of taking day job) and his self-titled Elliott Smith and Either/Or, are cited often as being amongst the finest independent albums of the modern era. Straddling the divide between lo-fi and the production sheen of what followed Either/Or is the precursor to a brace of classics. In 1997 Smith signed to DreamWorks and began work on what became XO with producers Rob Schnapf and Tom Rothrock. Released in late summer 1998 this disc is remarkably polished and accessible. Revelations include “Baby Britain”, “Waltz #2 (XO)” and the extended emotional finale of “Oh Well, Okay”, “Bottle Up and Explode”, “A Question Mark”, “Everybody cares, Everybody Understands” and the painful “I Didn’t Understand”. For a no-holds barred examination of the artistic mind at work this album is hard to fault. Smith plays a variety of instruments, from guitar and piano to melodica and also arranges for strings and horns. Assists arrive via drummer Joey Waronker, keyboards wizard Jon Brion and Shelly Berg’s orchestral scores. This is an album of supreme depth and intelligence with incredible tunes and lyrics to match the subject matter. It is wholeheartedly recommended for discovery. So too is Figure 8 (2000), recorded in Sunset Sound, Capitol Studios and Abbey Road Studios at a time when Smith was spending long periods living in London, partially because of his links to kindred spirit Cat Power whose own career took off in part when she embarked on British concert touring. Taking its titular inspiration from the ice-skater’s eternal desire to achieve perfection this disc encouraged listeners to believe that Smith was emerging from his darkness. The opening single “Happiness”, though wry enough, has a gorgeously uplifting tone and “Son of Sam” is not necessarily about the notorious mass murderer of that name but is rather a quasi-spiritual attempt at redemption. At this juncture Smith’s star had risen pretty high. He was feted in the press, appeared on prime time TV shows and maintained a fanatical base of followers who hung on his every word: not necessarily all good news for the man as it turns out. Often viewed as the haunting, high-water mark of his career - both the albums fared well enough on charts though there’s no point in pretending that Elliot Smith was a platinum seller with total mainstream acceptance because he wasn’t. But return to Figure 8 and you may hear how greater success could have caught him up, regardless of desire. The production is once again crisp and classic and the playing is exemplary. Attractions drummer Pete Thomas holds down the beat on a slew of tunes and the previous guests return meaning that these two albums can be viewed in tandem and enjoyed as such. Smith would have delivered one more disc but the posthumously released though not recorded From a Basement on the Hill was to have been a double delight. Unfinished in his lifetime, naturally it was rapturously reviewed. Look out too for New Moon (2007) where you can hear an early version of “Miss Misery” and wallow in Elliott's exacting cover of the Big Star song “Thirteen”. In many ways Smith can be deconstructed as an acolyte of that band’s leading lights, the late Alex Chilton and Chris Bell. Smith’s latter months were unhappy. His friends in the band Flaming Lips were amongst those who attempted to raise his spirits but to no avail. Smith died in 2003, aged 34. He’d maybe have been surprised to his legacy though: Ben Folds, Pete Yorn, Pearl Jam and Grandaddy have all covered his songs and singer-songwriters of a certain persuasion owe him some level of debt. A lover of words and ideas and the aspiration towards greatness, Smith cited Bob Dylan and The Beatles as role models and would cover the Abbey Road song “Because” in 1998 for inclusion on the soundtrack end credits of American Beauty. Within his own grooves you will hear someone who achieved a great deal in a short time. If you’ve never heard him until now then rediscovering Elliott Smith would be a smart move. 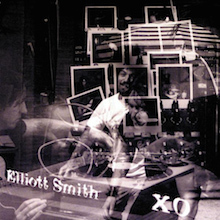 A year before his major-label debut, XO, was released, it seemed unlikely that Elliott Smith would even be on a major, let alone having his record be one of the more anticipated releases of 1998. He had certainly earned a great deal of critical respect with his low-key, acoustic indie records and was emerging as a respected songwriter, but he hadn't made much of an impression outside of journalists, record collectors, and indie rockers. An Oscar nomination can change things, however. "Miss Misery," one of Smith's elegantly elegiac songs for Gus Van Sant's Good Will Hunting, unexpectedly earned an Academy Award nomination, and he was immediately thrust into the spotlight. He was reluctant to embrace instant celebrity, yet he didn't refuse a contract with DreamWorks, and he didn't shy away from turning XO into a glorious fruition of his talents. Smith's songs remain intensely introspective, yet the lush, Beatlesque production provides a terrifically charming counterpoint. His sweetly dark melodies are vividly brought to life with the detailed arrangements, and they sell Smith's tormented songs -- it's easy to get caught up in the tunes and the sound of the record, then realize later what the songs are actually about. That's a sign of a good craftsman, and XO proves that not only can Elliott Smith craft a song, but he knows how to make an alluring pop record as well. Judging only by his earlier, bare-bones indie-label albums, it seemed highly unlikely that Elliott Smith would turn into the ambitious arranger and studio craftsman of his lushly textured Dreamworks debut, XO. A big part of that shift, of course, was the fact that Smith had major-label finances and equipment to work with for the first time; this allowed him to fuse his melancholy, slightly punky folk with the rich sonics of pop artists like the Beatles and Beach Boys. 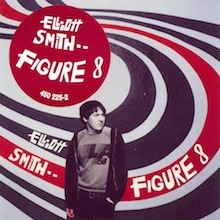 Smith continues in that direction for the follow-up, Figure 8, an even more sonically detailed effort laden with orchestrations and inventive production touches. With a couple of exceptions, the sound of Smith's melancholy has largely shifted from edgy to sighingly graceful, although his lyrics are as dark as ever. Even if the subject matter stays in familiar territory, though, the backing tracks are another matter -- a gorgeous, sweeping kaleidoscope of layered instruments and sonic textures. Smith fleshes his songs out with assurance and imagination, and that newfound sense of mastery is ultimately the record's real emphasis; there's seemingly a subtle new wrinkle to the sound of every track, and yet it's all easily recognizable as trademark Smith. Even if it is a very impressive statement overall, Figure 8 isn't quite the masterpiece it wants to be -- there's something about the pacing that just makes the record feel long (at over 52 minutes, it is the longest album in Smith's catalog), and it can sometimes float away from the listener's consciousness. Perhaps it's that Smith's songwriting does slip on occasion here, which means that those weaker tracks sink under the weight of arrangements they aren't equipped to support. Still, most of the songs do reveal their strengths with repeated plays, and it's worth the price of a few nondescript items to reap the rewards of the vast majority. Fans who miss the intimacy of his Kill Rock Stars records won't find much to rejoice about here, but overall, Figure 8 comes tantalizingly close to establishing Elliott Smith as the consummate pop craftsman he's bidding to become. Elliott Smith began his career like most aspiring musicians in the Northwestern states: putting in the requisite hours in a grunge band. Being a team player, however, is not Smith's forte. After those buzzy shows in the bars of Portland, OR, he would retreat backstage with his acoustic guitar and whisper his own quiet songs to himself. This album is his first attempt to record those songs, and they capture that feeling perfectly: a loner retreating from the noisy tension of life with others, finding solace in musical solitude. Roman Candle was, in fact, recorded in solitude on a four-track in a basement. Smith played all the instruments himself. He has said that he's always surprised when people call his songs "sad," because playing them always made him happy. You can hear that reclusive joy in the light bounce of the melodies and hushed harmonies (which recall Simon & Garfunkel). But his lyrics are haunted by the downbeat, drug-addled life from which he was retreating. For all their cryptic cleverness, there is a restless unhappiness in his fragmented stories of alienated urbanites. After that description, a reference to the definitive folk loner, Nick Drake, is inevitable. Smith's whispery vocals and able fingerpicking deserve the comparison. The highlight of Roman Candle is the title track. The quietly driving acoustic guitars and threatening bass create a disturbing portrait of a human time bomb, barely containing a seething and simmering undercurrent of bitterness. The rest of the album, by comparison, is pure sunlight. Elliott Smith's self-titled second album was his first for the Kill Rock Stars label and also his first major artistic statement. 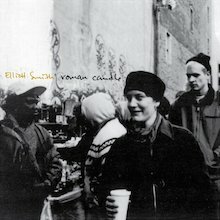 Its sound is fairly similar to that of Roman Candle -- it's mostly just Smith and his gently fingerpicked acoustic guitar, embellished a bit more often with drums, harmony vocals, and the odd additional instrument. The main difference here is that Smith's melodies and lyrics reveal their greater strength and substance with repeated listens. And make no mistake, the songs do require repeated listens -- not just because of Smith's often whispery, spiderweb-thin delivery, but also because of his deceptively angular melodies and chord progressions, which threaten to float away until the listener hears them enough to latch on and know where they're going. Smith is often compared to Paul Simon or the Beatles in their softer moments, but perhaps the best touchstone for this early sound is Nick Drake's even more minimalistic Pink Moon; while Smith's language is rawer and tougher than Drake's haunting poetics, his songs also deal with depression and loneliness, creating an almost uncomfortable intimacy with their bare-bones arrangements. The quiet prettiness of Smith's sound can make it easy to overlook the darker, edgier side of his songs -- many of Smith's embittered characters cope with their dysfunctional relationships or breakups through substance abuse, while some of the lyrics read more like angry, defiant punk rants when separated from the music. 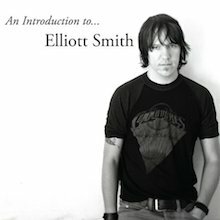 Smith would flesh out his sound with the albums to come, but Elliott Smith contains the blueprint for his later successes, and more importantly, it's a fully realized work itself. Elliott Smith's tragic death in 2003 left a gaping wound in the indie rock community. There weren’t many singer/songwriter/producers around who could make music so raw and honest, so personal and universal, that it could touch you no matter how it was presented. Just Smith and a four-track in his bedroom or sitting behind the piano at Abbey Road, it didn’t matter. His songs meant a lot to a lot of people and his records have become treasured parts of people’s lives. This collection gathers up songs from throughout his career, taking tracks from each of Smith's albums and the two posthumous compilations that were released. The songs are extremely well chosen and give a glimpse of Smith both as a harrowingly honest writer and an amazingly gifted creator of memorable pop songs. It’s a fine starting point for someone looking to discover Smith, but even if you have all his albums, it serves as a greatest-hits collection of sorts and only confirms just how awful not having him here truly is. Zeitsprung: Am 10.1.1984 gehen Ozzy & Mötley Crüe auf Tour. Auweia.